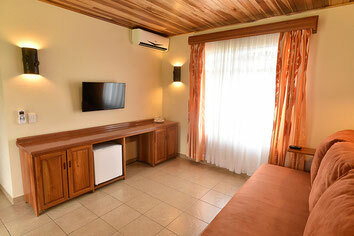 It is located 4 miles (6 km) from the town of La Fortuna at the base of the Arenal Volcano. 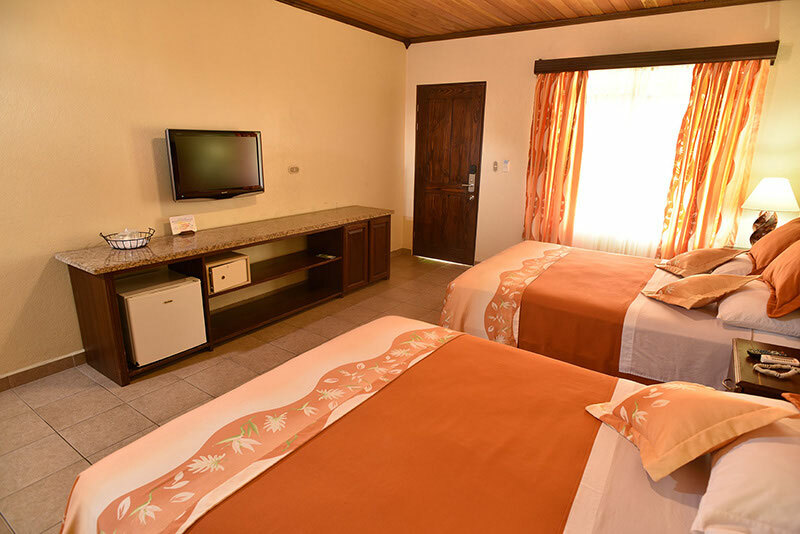 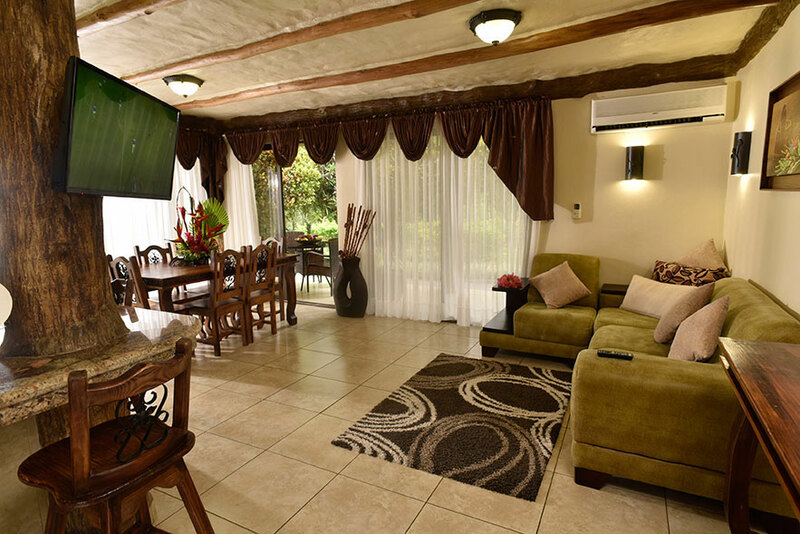 Spacious, comfortable and clean rooms with the most spectacular view of the Arenal Volcano are waiting from you. 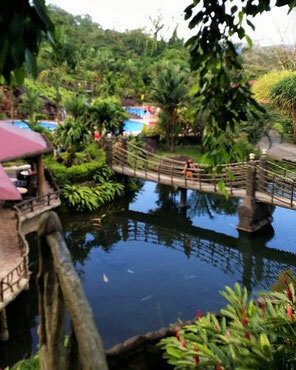 The natural hot springs at the Los Lagos Hotel, Spa & Resort receive their water supply directly from pristine rainforest springs, and are natural looking hot tubs, strategically placed to receive the continuous flow of hot fresh water, full of healthy minerals, from the Arenal Volcano’s underground heat source to your body! - Standard Rooms: Some are near the Jacuzzi and some are set on top of a hill. All have parking spots. 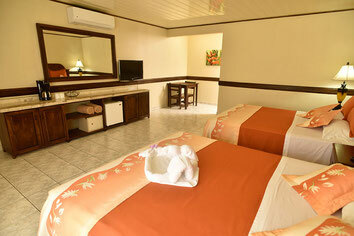 - Superior Rooms: These rooms are 60% larger than the standard rooms.. They also have a Jacuzzi bathtub and outdoor patio.